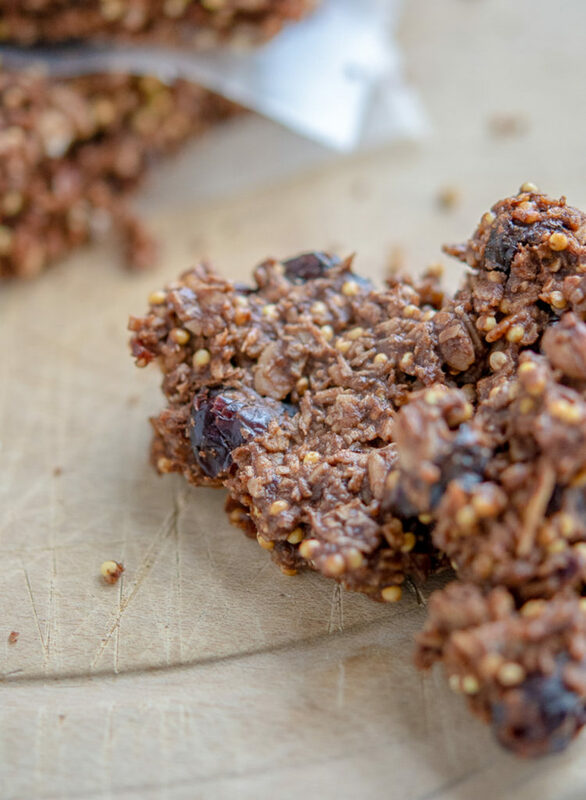 If you need a healthy, energy packed bar for on the go, these oat-y, cocoa, granola bars are just for you. So much better than the packaged bars you buy in the store, less sugar, no preservatives. You could swap out chocolate chunks for the cocoa, but I like the subtle flavor of the cocoa. Hopefully, you have a food processor (affiliate link), then these guys come together in a flash. But a large bowl will work fine as well. The wait is in the baking, then the grueling cooling period. But don’t skip the cooling, or your bars will fall apart. Then you’d have to call it granola! Not a bad thing, but not a bar. Why are these so terrific? 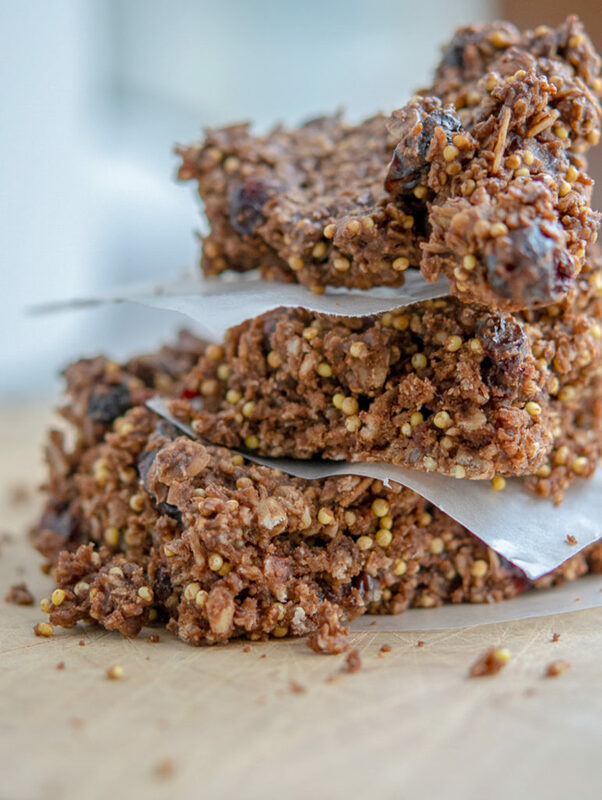 These were inspired by a Smitten Kitchen granola bar recipe, but I’ve made them even easier to prepare, all in your food processor (affiliate link)! 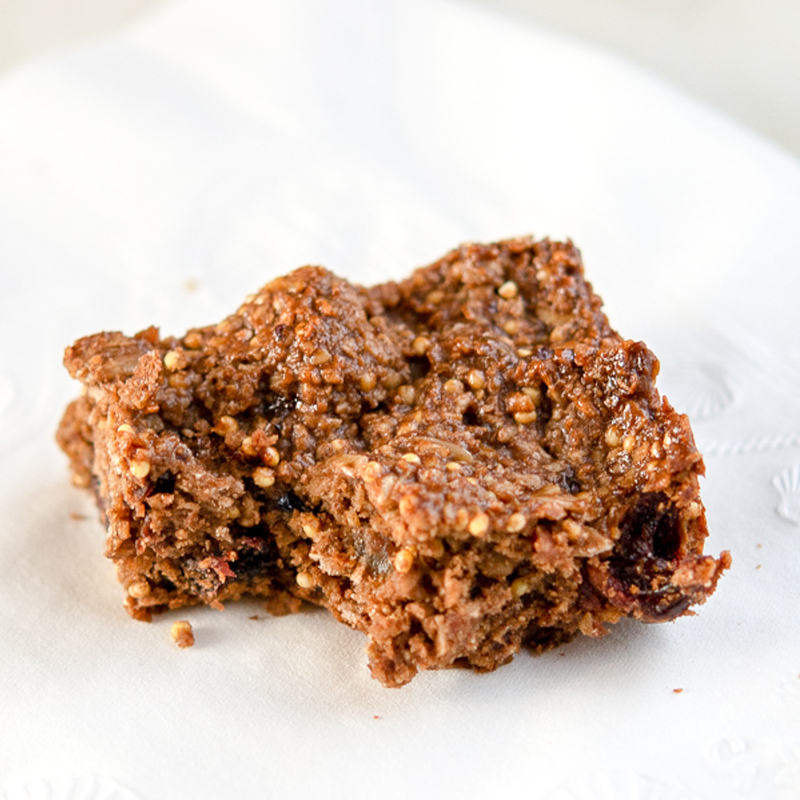 These are really tasty bars, easy to prepare, and a good after-school snack. Gluten-free if you use GF oats. Preheat oven to 350 degrees. Using two sheets of parchment paper (long enough to come up the sides of the pan) make a ‘sling’ and line an 8 x 8″ pan. This will make it very easy to remove the bars from the pan once they have cooled. Alternatively, butter the heck outta the pan. Using your food processor (affiliate link), grind up the oats, then add the dried fruit and pulse to chop them up a bit. Add in the rest of the ingredients, and pulse until combined. Transfer to the prepared pan and really press the mixture into the pan, otherwise, the bars will crumble. Bake for 30 to 35 minutes, until golden and the edges are browned. Cool completely before removing from the pan. When cooled completely, use the parchment “sling” to lift out of the pan and onto a cutting board. Cut into 2″ pieces. These freeze beautifully or hold at room temp in an air-tight container. Watch them disappear! Tahini is a seed butter from toasted sesame seeds, very mild in flavor compared to peanut butter, a nice alternative for these bars. 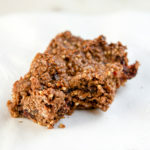 The millet adds a really nice crunchy texture to these bars, store your millet in a glass jar, to keep it fresh longer. I hope you enjoy this recipe and thanks for stopping by. I’d love for you to send comment if you love these bars! 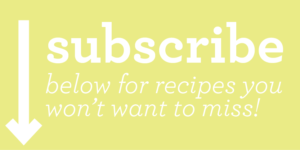 Be sure to subscribe with your email (in the box to the right > ) Thanks a bunch!